Only $159/night* ~ Best Deal in the City for December 31st! Only $99/night* ~ On shoulder nights! Enjoy NYE with a weekend stay! Mention Group Booking Code “EVE18” to the reservation agent right away so he finds the discounted rate. BOOK AS SOON AS POSSIBLE – Limited Rooms Available at Special Rate! 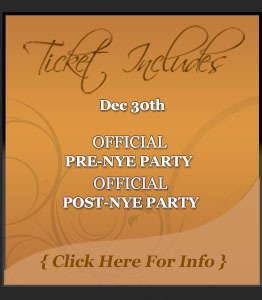 Make sure you are getting the discounted rate when booking. If you have trouble booking or the hotel says the rooms are sold out on any particular day, please e-mail chicagonye@gmail.com and we will try to help out. The Hilton Chicago hotel opened its doors in 1927 and has served as one of the city’s most revered addresses ever since. 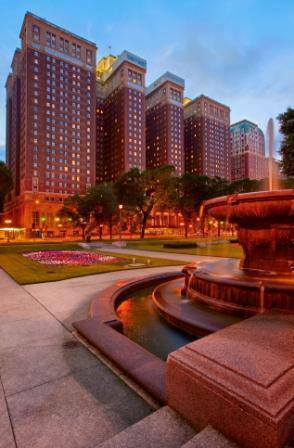 Located on South Michigan Avenue and overlooking Grant Park and Lake Michigan, the hotel has been meticulously redesigned and restored in a way that preserves the magnificence of its early 20th Century style while incorporating all of the 21st Century conveniences our guests expect. With 1,544 guest rooms and suites, 234,000 square feet of meeting and event space, a full menu of amenities, exceptional dining options, and an ideal location in downtown Chicago, the Hilton Chicago hotel is both accommodating and convenient. The Hilton Chicago Hotel – an iconic, world-class downtown Chicago hotel and gateway to Chicago’s rejuvenated Loop scene. 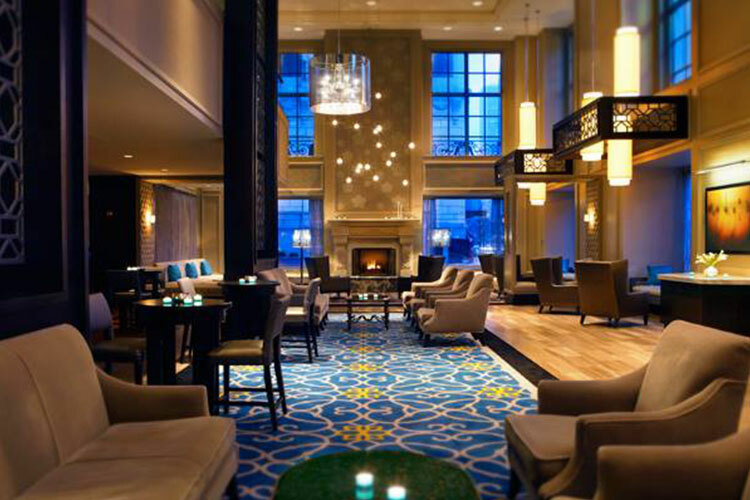 A modern Chicago grand hotel, the Hilton Hotel Chicago is a lively destination within walking distance of the best attractions the city of Chicago has to offer like Millennium Park, Grant Park, Lake Michigan, the Art Institute of Chicago, the theater district, and the Magnificent Mile. Our Chicago, IL hotel boasts a locale close to the best of the city’s offerings, shopping on the famed State Street and Michigan Avenue. 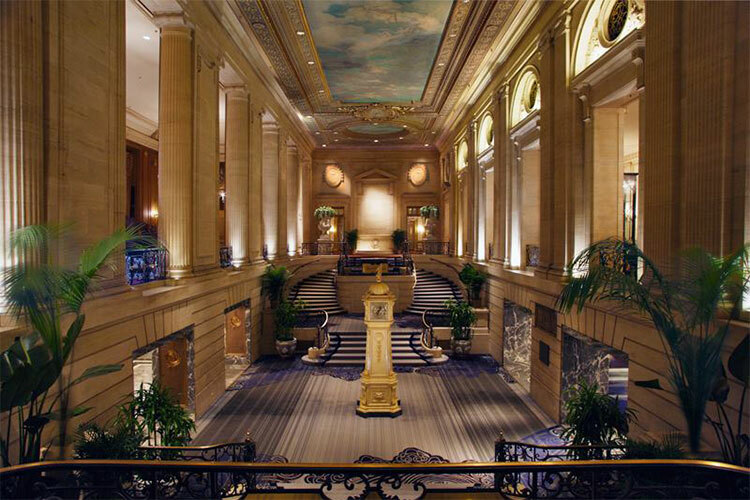 As one of the longest continuously operating hotel in North America, The Hilton Chicago hotel in Chicago, Illinois has been the destination of choice for every U.S. president since Ulysses S. Grant, world leaders and dignitaries, celebrities, and Chicago’s movers-and-shakers. 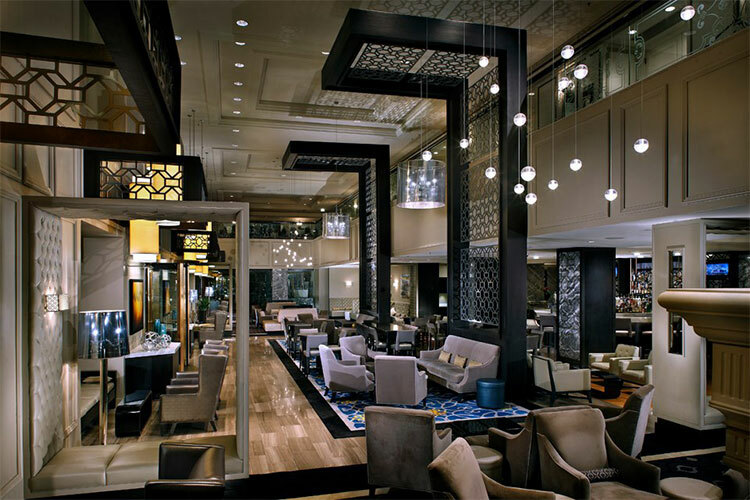 Catering to on-the-go visitors who expect the finest in dining, entertainment and services, the Hilton Chicago is a luxury hotel in Chicago, Illinois that transcends generations with a modern twist on its rich traditions.